In Haiti, the demand for affordable and dignified sanitation solutions, like EkoLakay’s in-home composting toilet, is high. SOIL is striving to be conscientious of how we grow to meet that demand so that we’re expanding in a way that’s sustainable. Even as we refine our model and work to grow responsibly, we have exciting news to report about how much we have in fact grown throughout the past year. Are you ready for it? In one year’s time, SOIL has nearly doubled the size of our waste treatment operations. 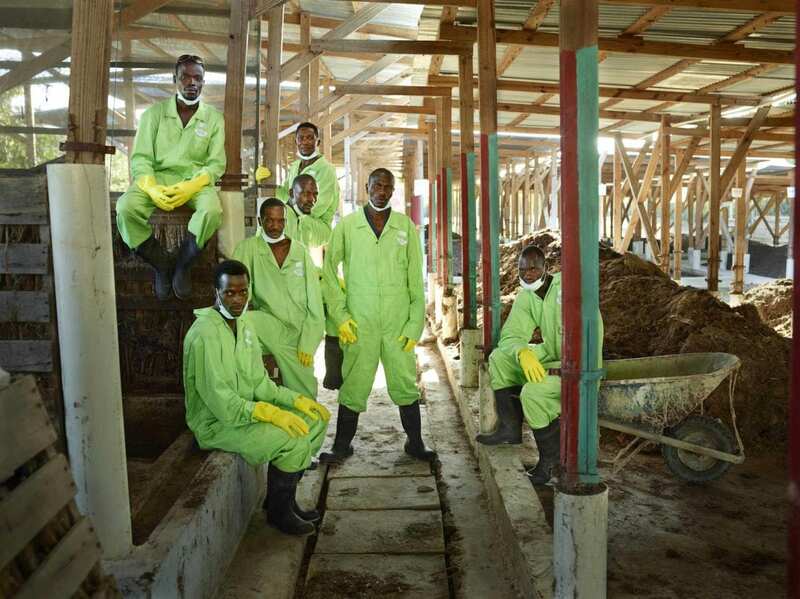 This means we have nearly doubled both the amount of pathogenic waste we’re taking out of communities from EkoLakay toilets as well as the amount of safe, agricultural-grade compost we’re returning to the soil. That’s a lot of compost – more than 50 metric tons each month, to be exact! Adaptability and Efficiency – with Room to Grow! Our team is excited to grow and improve the site to ensure we have the flexibility we need to operate efficiently, adapt as needed, and anticipate the additional households who will begin using EkoLakay’s services in the coming year. We broke ground last week to build two more composting bins, an additional septic tank, and a new water drainage system. Once that’s complete, we’re going to expand the workspace used by our composting team (aka Haiti’s local sanitation heroes) so that they have the space they need to work effectively and recharge throughout the day. Marckindy Etienne, SOIL’s Cap-Haitien Composting Supervisor shared that SOIL’s composting operations have adapted to the limitations of the current site, but “with more space and planned infrastructure improvements, [SOIL will] be able to apply what we’ve learned in this limited space to design for greater efficiency.” One way the new site will improve the efficiency Marckindy discussed is by building improved windrow areas – which is where we turn the piles of Konpòs Lakay compost throughout the transformation process once they’ve moved out of the initial compost bin. We’ve been running out of windrow space for some time and are implementing a new design which actually doubles our capacity to turn the compost piles in the same amount of space. 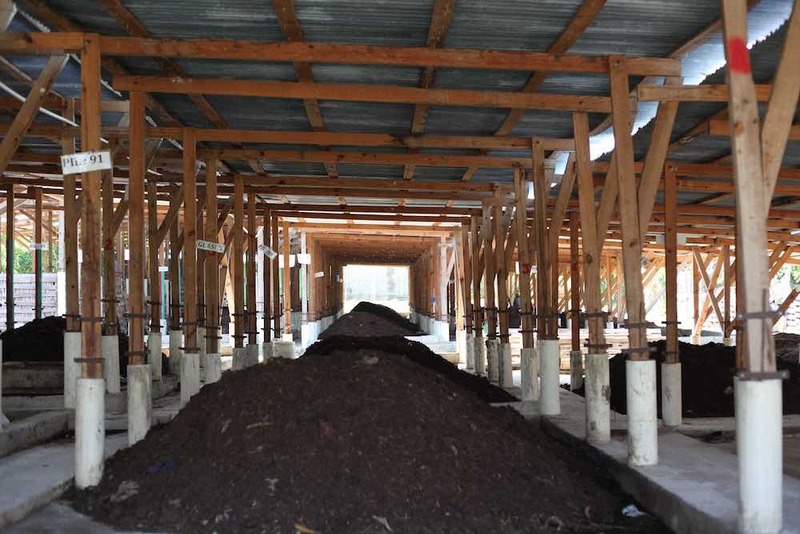 It’s easy to imagine how difficult it would be for SOIL’s composting team to make do as the composting site had been becoming outdated and prohibitively small in the face of EkoLakay’s growth. (Again – heroes). Job shared that while it’s been stressful for him over the past few months to be restricted in how he can improve operations, he’s excited about how the site expansion will change things moving forward. He also shared that he’s “proud and thankful to have found financing that allowed us to make this happen.” The rest of us at SOIL share Job’s sentiment and want to wholeheartedly thank the SOIL cultivators, individual donors, and funders, including Pennywise Foundation, Marsha Richins, River Styx Foundation, and Seekers Church, who have made this exciting expansion possible. If those of you who are reading this blog outside of Northern Haiti couldn’t hear our collective cheers as we broke ground on the site, trust us that we did – and keep an eye out for updates throughout the construction process. 4 Replies to "Breaking Ground: SOIL Expands Composting Site After Nearly Doubling Waste Treatment Operations"
Thank you! We’re grateful for the encouragement and support that has helped to make this expansion possible. Keep an eye on our blog and on social media to see updates on the site progress as they are available. This is exciting, and we are so grateful for each one of you working there. I happen to be an old woman, daughter of an Iowa farmer, so I know what ‘windrows’ are when you speak of them and I see them in the photos. But how about the folks who are younger and much more citified, perhaps they need to hear a definition of ‘windrows’ supplied by you to help them learn. Thanks you, Nelda. We’re happy to hear that there are some loyal blog readers out there that are well versed in the uses of windrows!